Secretary of State for Digital Advance, Francisco Polo, has said that the Government “is determined” that Spain is a leading nation in 5G, an infrastructure that has been described as “fundamental” for the country to “take a great technological leap forward”. 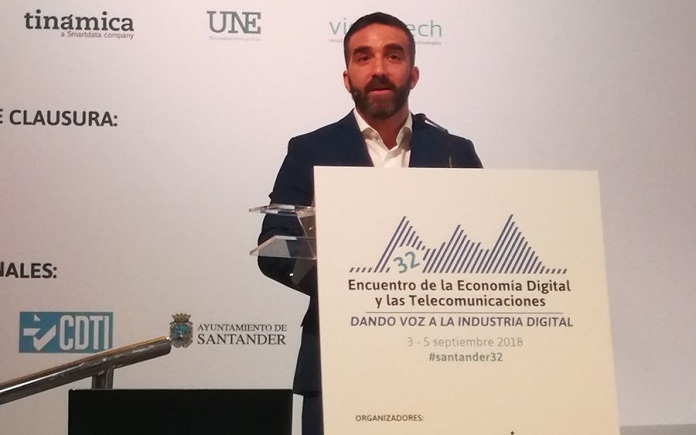 “We are determined that the Government promotes this fundamental infrastructure for Spain to take a great technological leap forward,” said Polo after participating in the 32nd Meeting of Digital Economy and Telecommunications organized by the Ametic technology employers in Santander. Therefore, he said, the Government wants to expand the number of pilot projects in this technology, since the two planned in the previous Executive Plan, whose call will be released this month, will add a second in 2019. “We know the intention of companies to be able to participate in these pilots, we are preparing a second call that will expand the number to accommodate new operators and new experiences that give us more knowledge of this technology that will really mean a jump for our country, “he explained. He added that to generate confidence and confidence in the sector, one of the first things he did just take the position was to assume the commitment to maintain government plans in 5G, which includes the publication “in time” the roadmap for the second digital dividend, which will force a new re-tuning of DTT. In this context, the Government provides aid for neighborhood communities and signal emitters, so that they are not affected by this technological change so important for the country, said the Secretary of State, who has not specified whether there will be aid to purchase televisions. Nor has it specified how much such aid could be promoted, since that will depend on the 2019 budgets, which has stressed that its Executive is determined to move forward. “It will be the rest of the parliamentary groups that have to give explanations for not helping us to turn Spain into a modern nation that has the 5g as the basic infrastructure for the deployment of a series of technologies,” he underlined. He explained that the Government has developed the road map with the experience of having gone through the first and has not specified when the band will be released for operators.